Completely restored and in very good working condition. The Zenith Super H500 has seven receiving Bands, AM and six Short-Wave. It has a nice 50-inch telescoping whip antenna as well as the WaveMagnet for use in your car or a metal building. There are also two terminals at the left rear of the chassis marked "A" for an external ground and antenna for use in low signal areas. 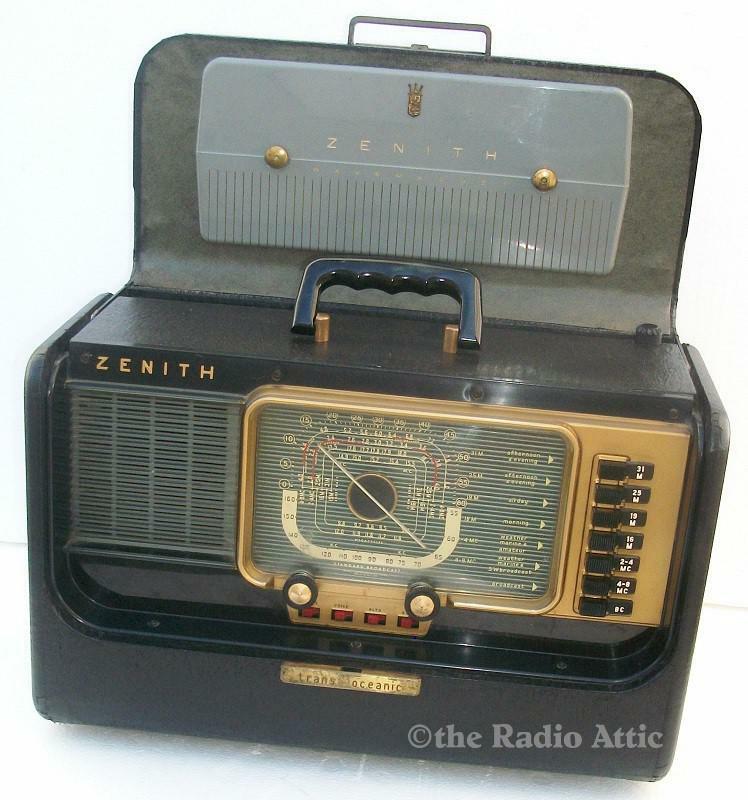 See the included Zenith Trans-Oceanic Super H500 manual for more useful hints. About 16-7/8"W x 11"H x 7-7/8"D.
You are visitor number 647 to this page.